You’ve got enough on your plate running your business, so leave the financial details to us! Financing is a complicated matter, and we often encounter several questions about how we help our clients succeed. Explore our most frequently asked questions below or contact our team for more information. ARF Financial LLC is a California limited liability company and a finance lender licensed by the California Department of Business Oversight. We specialize in providing working capital for restaurants, bakeries, caterers, hotels, bars, taverns, retail establishments and many other businesses. We employ a full-time staff of financing professionals across the nation and have offices in California, Texas and Florida. Adding a partner to your business can cost you valuable equity and could mean a loss of control. Other cash providers that receive their payback through credit card sales and/or membership programs can create negative cash flow consequences and accounting nightmares. Use ARF Financial and get the cash you need without all that hassle. What’s more, you’ll enjoy some of the most competitive rates in the industry, a simple and quick approval process, and flexible financing options. Plus, the interest is tax deductible, and we provide expert customer assistance and consulting to help you make the most of our services. To learn more about the benefits of doing business with ARF Financial, click here. How does the ARF Financial program work? Our program provides maximum flexibility with minimal aggravation and loan amounts up to $1,000,000 per location. Choose your term starting at 6 months and extending to 36 months, with numerous terms in between with early payoff options. We have a streamlined application process, require minimal documentation, and we fund quickly – often in as little 3 to 5 days. Collateral is not required on amounts up to $725,000, and repayment never interferes with your credit card stream. 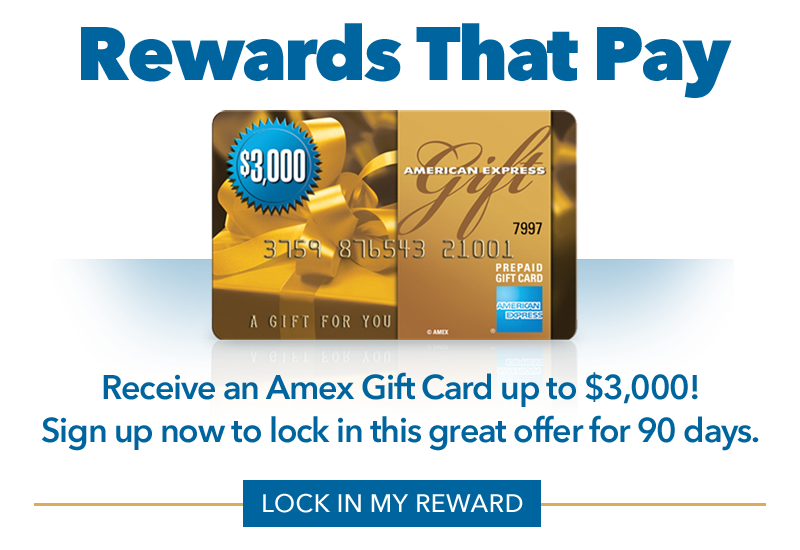 Will the payback with ARF Financial be tied to my credit card sales? No. Many cash advance companies receive their payback by deducting up to 30% from your daily Visa® and MasterCard® sales, and they may require you to change your credit card processor. ARF Financial requires no change in your credit card processor, and does not interfere with your credit card receipts. Do I have to participate in any marketing or rewards programs to get a loan from ARF Financial? No. We do not require you to sign up for an unwanted marketing or rewards type program that relies on either a registered card platform or credit card transactions to receive working capital. Often, these types of programs have hidden costs involved like funding tax and tip, or they cannibalize your sales growth by simply repaying your cash advance back using your existing customer base. Why let some other company reap the benefits of your hard work? Our philosophy is simple: we offer you lower and more cost-effective rates. Cheaper, simpler, more flexible financing is what we do. What size loan can I get and how do I qualify? We use actual gross sales to determine your loan amount. Potential loan amounts vary from 4% to 16.5% of your total annual sales (cash and credit card sales – actual or projected) and your credit worthiness. Example: If your average monthly sales volume is $100,000 or $1,200,000 annually, your potential loan amount is $48,000 to $198,000. If sales increase over time, you may qualify for additional amounts. All loans are subject to ARF Financial’s standard underwriting criteria. After your loan is approved, we typically wire transfer the loan proceeds directly to your business account. A traditional check can be mailed to you if you prefer. Disbursement options are available to pay vendors directly for equipment purchases. This enables you to free up cash flow for other important purchases and expenses. How does ARF Financial get paid back? Once a week we process an ACH debit from your authorized business checking account. This ACH debit remains the same over the term of your loan. You’ll know what to expect and can set your budget accordingly. We don’t require automatic renewals or continued commitments once your loan is paid, but if you choose to renew, the process is quick and easy! Simply fill out our online application, or call us to speak with one of our trusted advisors in your community. From there, we can establish your business goals, your financing needs, and begin the lending process. You’ll be asked to fill out a simple online loan application and provide just 3 months of your most current credit card and bank statements to document sales. Once submitted, we will do the rest. Proceeds can be wired directly into your bank account. The whole process is easy and typically takes 3 to 5 business days!